For a very thorough and insightful Guide to Selling your Home this Summer, please click on the link below! For a thorough and informative Guide to Buying a Home this Summer, please click on the link provided below! The new year could bring changes galore to conventional and government-backed home loans. Reeling from an exciting December, we eagerly await the next statements from Fannie, Freddie, and even the FHA, regarding higher fees and other developments. In mid-December, Fannie Mae and Freddie Mac’s regulator, the Federal Housing Finance Agency (FHFA), created a stir when it stated it would begin imposing greater fees in March and April, also known as loan level pricing adjustments, to borrowers with less-than-perfect credit scores and down payments less than 20 percent of the home sales price. The proposals appeared to be the parting shots of the outgoing, acting FHFA Director Edward DeMarco. The news created uproar and led to an immediate statement from the incoming FHFA Director, Congressman Mel Watt, who indicated that any implementation of fees would be delayed pending review as soon as he “had the opportunity to evaluate fully the rationale for the plan.” What happens next will certainly be watched closely by all of the housing and related industries. On the government loan side, in early December, the FHA stated that it was lowering its maximum loan limits in approximately 650 U.S. counties. It then made a small concession by extending a deadline to the end of January for change requests to high cost area loan limits. This may be tricky however, considering any requests should only be for high cost areas without current, sufficient housing sale price data for homes sold in January through August 2013. Any subsequent changes here would, of course, limit some homebuyers’ choices when it comes to home shopping in the new year. The QM rule, also known as the “ability-to-repay” rule, goes into effect this month as part of the Dodd-Frank Act. The rule was enacted to help ensure borrowers get a home loan they can afford to repay, and to help prevent people from going into foreclosure and losing their homes. While new guidelines are now in effect related to loan limits, a borrower’s debt-to-income ratio, fees and other items, studies suggest that many mortgages already meet the new QM standards. There’s a good chance the new rule won’t impact the majority of borrowers. At the FOMC’s mid-December meeting, Federal Reserve Chairman Ben Bernanke announced that the Fed would indeed begin tapering its Bond-buying economic stimulus efforts due to signs of U.S. economic recovery and strength. Home loan rates may suffer volatility since the Fed’s efforts had kept markets stable and home loan rates low for a majority of last year. 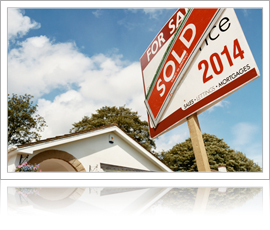 Searching for a comprehensive list of what real estate will look like in 2014? Look no further, because we’ve pulled together top predictions from around the web for you right here, with insights from Trulia.com,Zillow.com, Forbes, the NAHB and NAR. 1. Unemployment will stabilize between 6.9 percent to 7.2 percent as people re-enter the labor market and start looking for jobs. 2. Affordability will get worse, although price increases will slow from the unsustainable pace of 2013. 3. 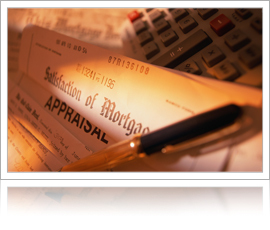 Expect mortgage rate increases next year. Don’t expect major hikes to scare markets and buyers, but anticipate small upward rate increases as the Fed tapers further. 4. Move-up buyers will be less discouraged by rising prices and interest rates than investors or first-time buyers. 5. Gains in housing will hold up and even continue in 2014, but more moderately in all sectors: new homes, existing homes, and building starts. Growth, however, will be uneven across states. 6. Higher prices will encourage listings for homeowners whose homes were underwater; buyers will face less competition from investors who scale back from buying as prices rise. 7. Existing-home sales will climb 4 percent to 5.2 million, a 7.5 percent increase from 2012. New-home sales may climb by another 16 percent to 580,000 next year (2013 saw an amazing 36 percent increase over 2012). 8. Areas with inventory shortages should cool, but watch rising mortgage rates (see #3). Sales in California and Arizona will be rapid, while New York and Florida will continue to deal with gluts. 9. Prices could slow for the wrong reasons, as well, if there’s another government shutdown to dampen consumer confidence, which hurts both demand and pricing. 10. Looser credit may help renters become new owners. With fewer foreclosures, single-family rentals will tighten making buying more appealing.